The 2011 Ford Ranger offers a solid platform for an attractive price, and with the 4.0-liter V6 it can actually do some solid work as well. The outdated design of the 2011 Ranger will put off quite a few buyers, not to mention the truck-like ride that's becoming increasingly foreign to buyers. In the compact pickup game, the Ford Ranger is the undisputed leader, mostly because there are no other entries. 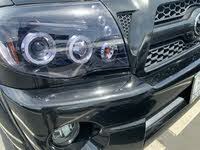 The biggest drawback to the 2011 Ranger is its engines, both of which fail to perform with regard to economy or power. 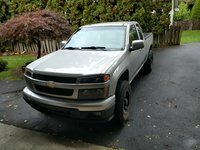 Still, it’s a capable little truck, and this is the last chance you’re going to get for a pickup this small on these shores anytime soon. For more than 15 years, the Ford Ranger stood as the best-selling compact pickup ‘round these parts, and most recently it’s been the only compact pickup on the market, as the other manufacturers have abandoned their own entries in favor of midsize offerings. With Ford introducing its own midsize pickup, the F-100, the Ranger will go the way of its brethren, at least on American shores. Overseas, it will live on in a new generation of Ranger, dubbed the T6 internally. With that in mind, there’s little change in the 2011 Ford Ranger, as it continues to be offered in XL, XLT, and Sport trims in Regular and SuperCab body styles. 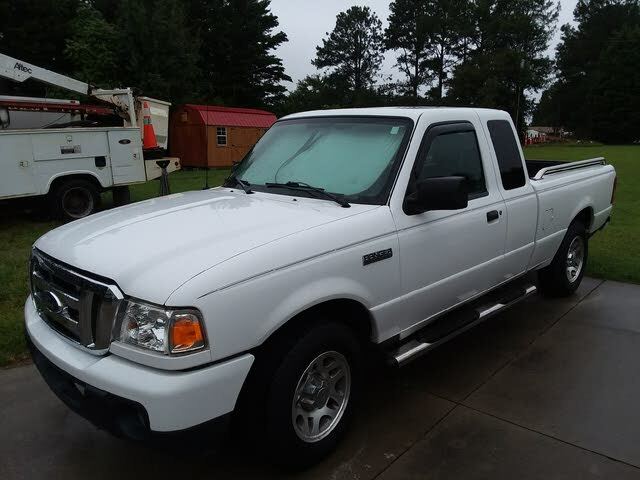 The Ranger comes with a 2.3-liter inline four-cylinder (I4) or a 4.0-liter V6 engine depending on trim, and it offers the choice of a five-speed manual or automatic transmission. While the standard drivetrain configuration is rear-wheel drive, XLT and Sport trims have the option of part-time 4WD with a low-range gear for off-road use, but that should not be left engaged on dry pavement. 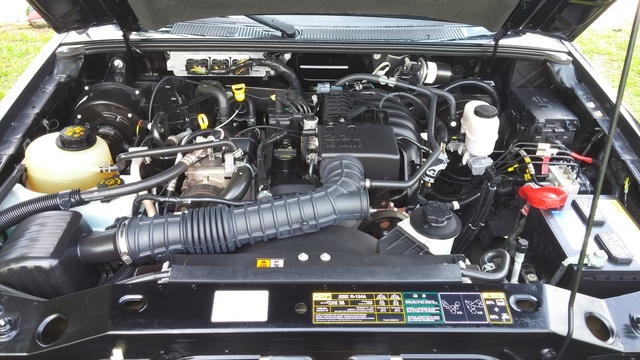 The Ranger's Duratec 2.3-liter I4 engine has an aluminum block with cast-in iron cylinders and an aluminum DOHC head. Variations have seen duty in the Focus and Fusion, although there it has been set up for front-wheel drive. With 143 hp at 5,250 rpm and 154 lb-ft of torque at 3,750, the little I4 manages just fine. Equipped with a five-speed manual, it manages 21/26 mpg, although choosing the five-speed automatic will drop those numbers to 19/24. The 4.0-liter V6 drops down to two valves per cylinder for its iron-block, SOHC design, but it gains a bit of power, as the Cologne V6 checks in at 207 hp at the same 5,250 rpm as the 2.3. Torque is also increased, here to 238 lb-ft at a flat 3,000 rpm for a maximum towing capacity of 5,980 pounds. Both transmissions will return 15/20 mpg with the 4.0-liter V6 in rear-wheel-drive configuration, but opting for the part-time 4WD drops mileage to 15/19 with the manual and 14/17 with the automatic – simply abysmal. The Ranger offers a competent ride, as good as can be expected from a pickup. The usual jingle, jangle, and shudder will be felt over rough terrain, especially when cornering, but the steering is firm and responsive, and the brakes operate with confidence. Little difference is noted between configurations, as all trims have more-than-adequate straight-line stability and moderate comfort. Watch for wheelhop in hot cornering, but then there are better vehicles for hot cornering in the first place. Don’t expect much and you won’t be disappointed. The Ranger looks extremely dated at this point, although well built. Materials are of high quality, and controls are both easy to reach and intuitive. Everything just looks like part of an older vehicle. Comfort at least is high, although that is exclusive to the front seats. Ford claims three-abreast seating is possible, but that’s wishful thinking. It’s better than the optional rear seats in the SuperCab trims at least, which are uncomfortable for anything other than toddlers, pets, and cargo. Current NHTSA ratings for the Ford Ranger have yet to be announced, as it has revamped its testing procedures this year. However, as little has changed for this year, the 2010 Ranger's ratings can be considered. Last year, the Ranger scored five stars in all tests except frontal accidents involving the passenger as well as rollover resistance, both of which earned four stars. Standard safety features for the 2011 Ranger include traction and stability control, dual front and front-side airbags, antilock four-wheel disc brakes, and a rollover sensor for the stability control system. Owners find it hard to argue with the price point of this aging entry, although some fail to realize that you do indeed get what you pay for. Model redesigns and updates are expensive, and as the Ranger hasn’t had one in a long while, you’ll see that reflected in both its price and design. The 2011 Ford Ranger's aesthetics are dated, and its engines provide fuel economy that truly seems to be from the last century. Still, it’s a solid entry for the last of the compact pickups, and most owners seem to realize and appreciate it as such. What's your take on the 2011 Ford Ranger? 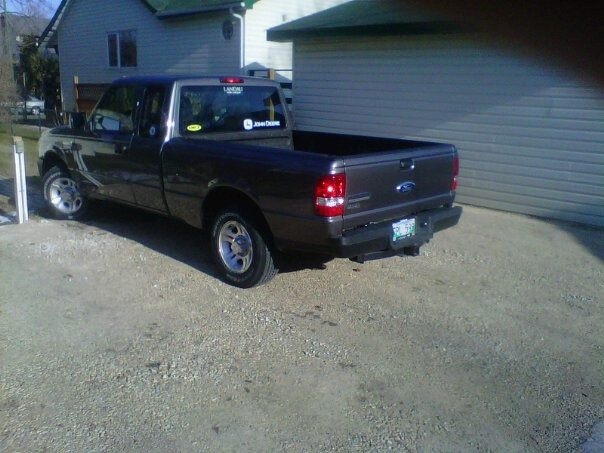 Have you driven a 2011 Ford Ranger? 2011 Ford Ranger Brake Light On. How do you remove a door panel on a 2011 ford ranger sport with power windows to replace a broken driver side mirror.